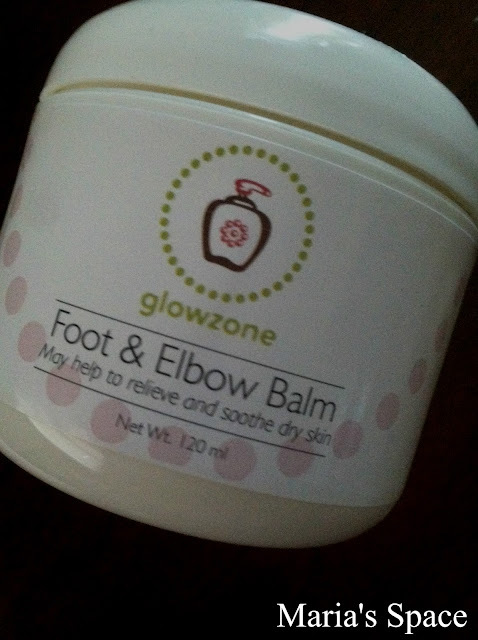 Over the past two weeks I have kept Glowzone Foot And Elbow Balm on my bedside table to apply nightly. This Natural Foot Cream is made from honey, Shea butter, Peppermint oil, tea tree oil, beeswax and an exclusive proprietary blend of oils and smells wonderful. It works almost immediately, I kid you not. I have never had great feet. The heels are always cracked. I get it from my momma. I remember dad used to put foot cream on her feet all the time while they watched TV but I think it would have been way less if she had had Glowzone Foot and Elbow Balm. It is a very thick cream that goes on so smooth. You need very little as there is so much natural oil in this that you will notice the difference immediate however, put socks on or do as I do and use at bedtime or you will slide across the kitchen floor. My heels have never looked better so I have started using this on my calves to make them shiny smooth after shaving.